Ever fancied creating your very own Lightsaber bug zapper? Well if you have the the team over at Hack A Day have built one and created a video to show you how to construct one yourself. 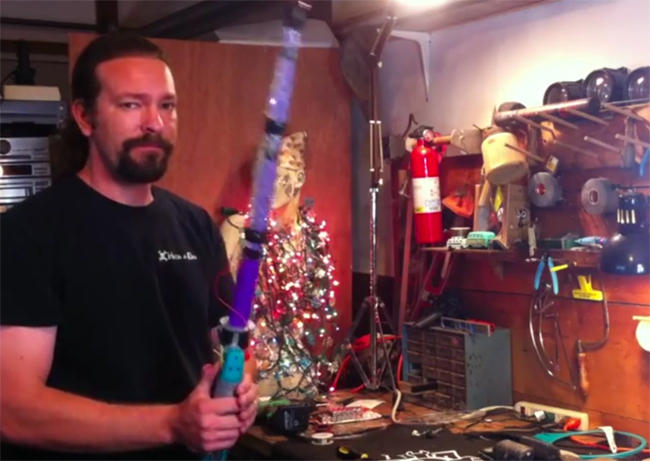 By modifying a toy lightsaber and a plastic bug zapping bat, check out the video after the jump to see the build process. The hack was created in just over 20 minutes, and uses two layers of metal mesh to create the lethal electrical zapping component of the Lightsaber bug zapper. For more information jump over to the Hack A Day website.